Get the Full StoryUriah Hall shares his thoughts about his recent life-threatening weight cut scare that forced him out of his scheduled fight against Vitor Belfort in January. 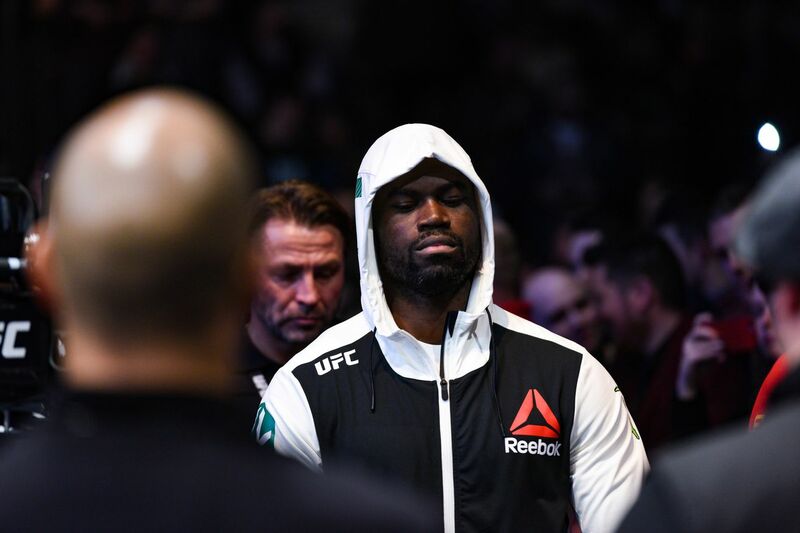 UFC middleweight contender Uriah Hall suffered a life-threatening health scare ahead of his scheduled fight against Vitor Belfort in St. Louis, Missouri last January. The 33-year-old TUF 17 alum fainted on his way to the scales for the official weigh-ins, as he later revealed that he may have suffered a slight heart attack and a mini-seizure due to a bad weight cut. Hall is now scheduled to fight Paulo Henrique Costa at UFC 226, and in preparation for the said contest, he made sure to take this previous harrowing experience to heart. You ve just got to know your body, and it happened in a way where I just learned from it, Hall told MMAjunkie. It didn t have to happen, but the fact that it happened made me realize I need to pay attention to certain things. It s scary overall, but I wouldn t say that gave me a big change in my outlook on life. It was more like a wakeup call to pay attention because you re getting older, and as you re getting older you have to pay attention to certain things with your body especially when you re competing. It s like a car: You ve got to keep fine-tuning it, you ve got to put that right fuel and you ve got to change the oil and all that stuff. Hall also revealed to have suffered stomach problems during the week of the fight, which made it more difficult to digest his food and cut weight. I learned I m allergic to a lot of things, a lot of foods, Hall said. What a lot of people didn t realize was I had stomach problems, which made it hard for me to digest food. So I ended up cutting more weight than normal because I couldn t digest. That whole week, I was struggling to even digest and I was accumulating more water weight. But just taking away certain foods, and experimenting with eating certain things, realizing I m bloated from this or this or this but the weight s been really good, the camp s been amazing. UFC 226 takes place this weekend, July 7th in Las Vegas to cap off International Fight Week. It is headlined by a heavyweight super-fight between champion Stipe Miocic and Daniel Cormier.